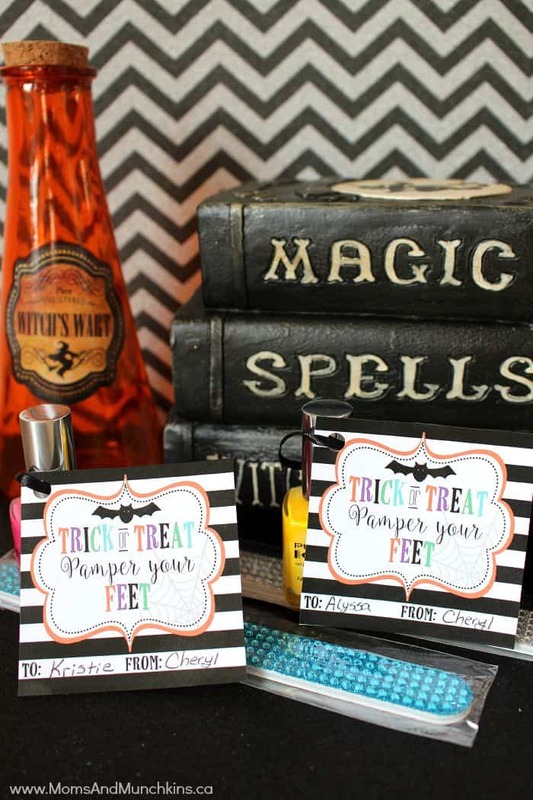 These Trick Or Treat, Pamper Your Feet printables are a fun & FREE printable for Halloween! They are perfect for younger girls or even a ladies Halloween party. I always love receiving Halloween candy but it’s nice to also have ideas for non-edible treats for special friends, kids with allergies, etc. 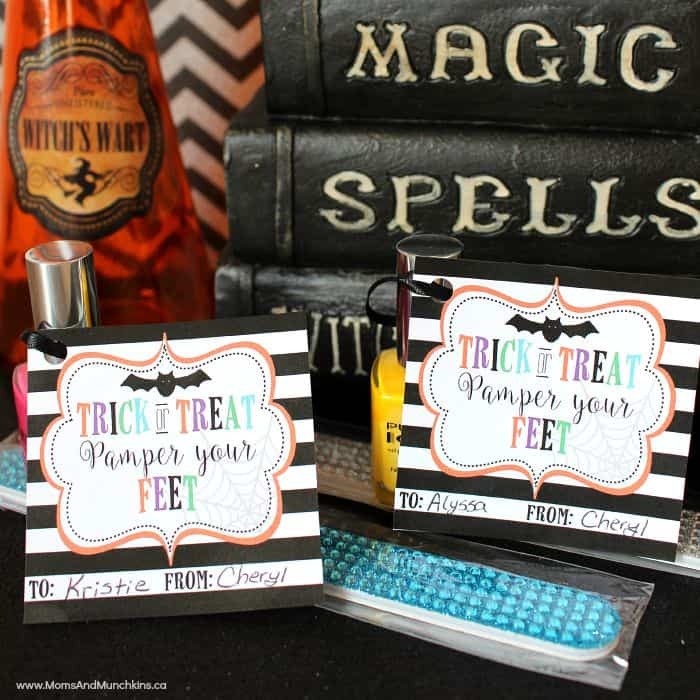 For these Trick Or Treat, Pamper Your Feet printables, simply print off the free printables, cut out each tag, write in the “To” and “From” information and attach them to bottles of polish, nail files, nail decals, hand or foot lotion, etc. These Halloween printables are available for FREE for our monthly newsletter subscribers! Signing up is free & easy. We have over 7500 subscribers that enjoy the special freebies each month! Simply enter your email address, confirm your subscription, and you’ll be directed to a Thank You page with a link to the freebies page along with the secret password. This link and password will also be repeated in each of the monthly newsletters. For even more fun Halloween ideas, visit our special page dedicated to Halloween. We have more free printables, Halloween treat ideas, Halloween party ideas and more. 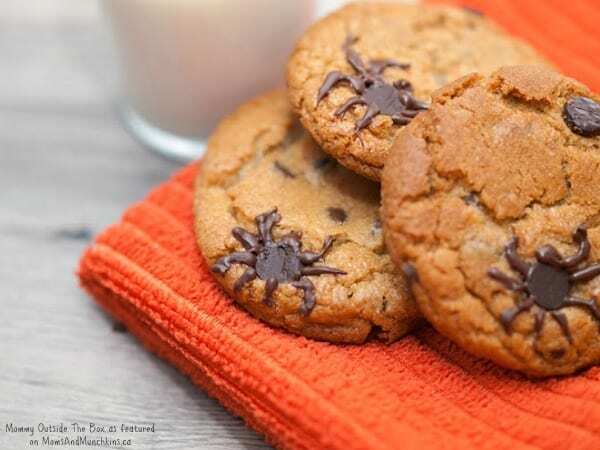 Here’s one of my favorites: Spider Chocolate Chip Cookies! We’re always adding new ideas for family fun, recipes, free printables, parties and more. Never miss an update by following us on Facebook, Twitter, Pinterest, Google + and Bloglovin’ for the latest updates.